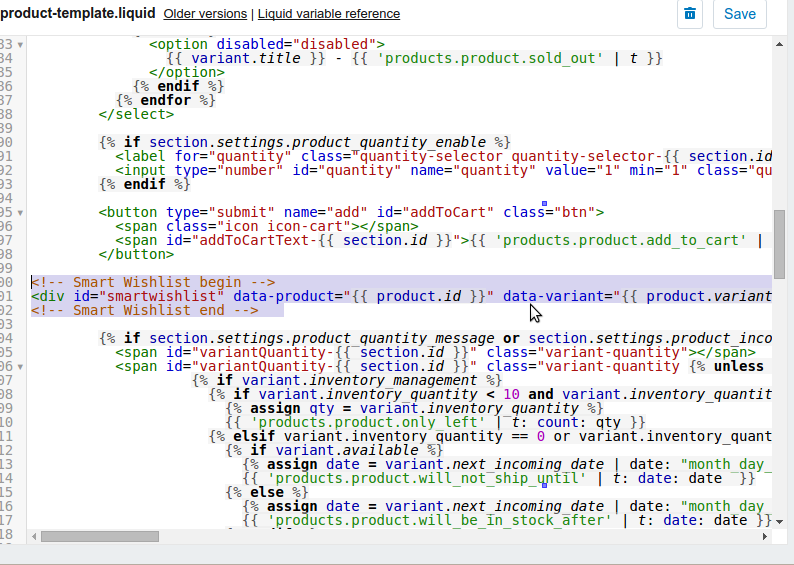 Supply is a free theme for Shopify Stores which can easily showcase and filter large inventories. In this article we shall explain the steps involved in configuring the Smart Wishlist on stores using Supply theme. This applies to both Blue and Light versions of Supply. You must be logged in to Shopify Admin of your store. Developers are advised to go through App Setup Guide in case of any confusion. 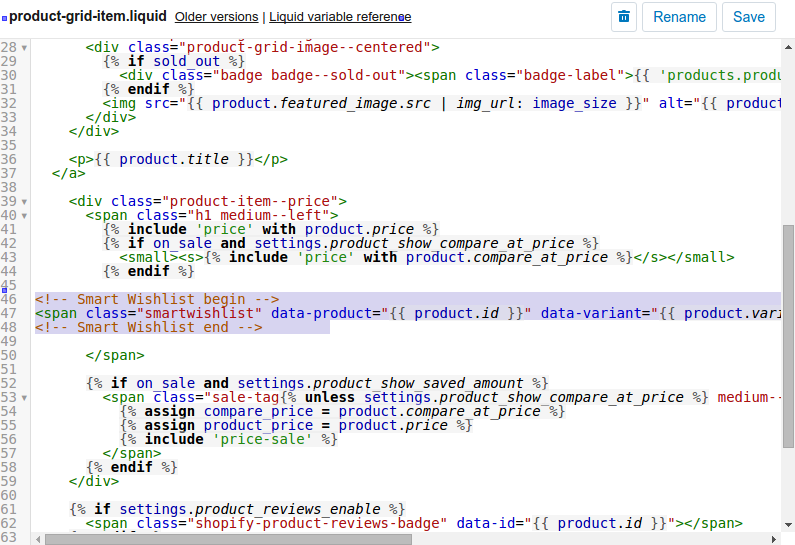 Open snippets/product-grid-item.liquid and add the following code inside <div> with class product-item–price. Sometimes, there is not enough space in the menu. In such cases you may prefer adding the link somewhere else in the page header. In such cases, please follow the steps below. 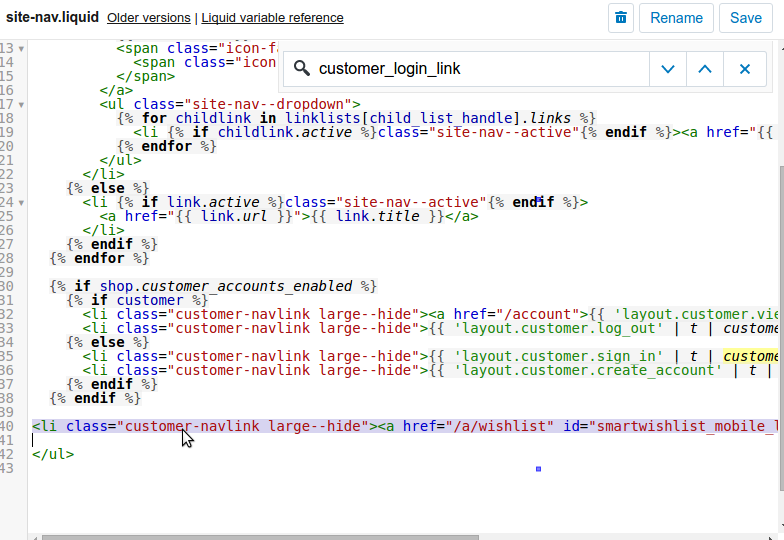 Open sections/header.liquid and add the following code snippet after the <span> containing customer_register_link. The above link is not visible on mobile devices. Therefore, we shall add a link also to the mobile menu. 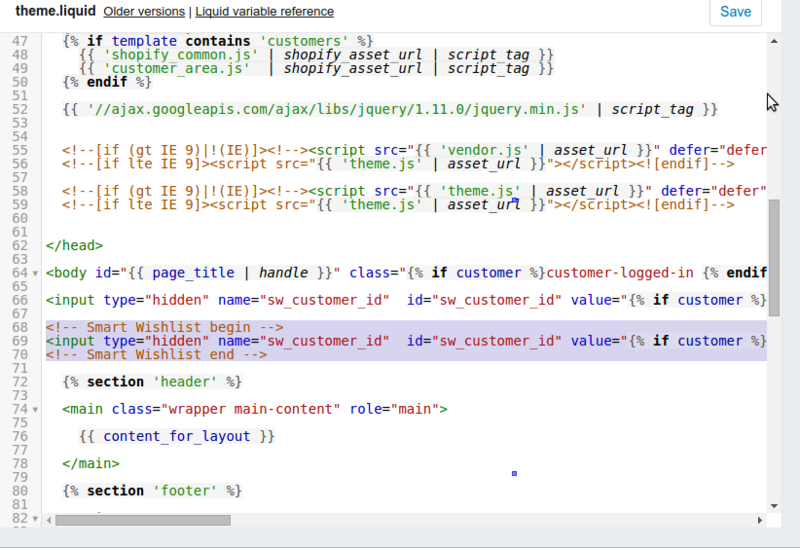 Open snippets/site-nav.liquid and add the following code snippet just before the closing </ul> tag. 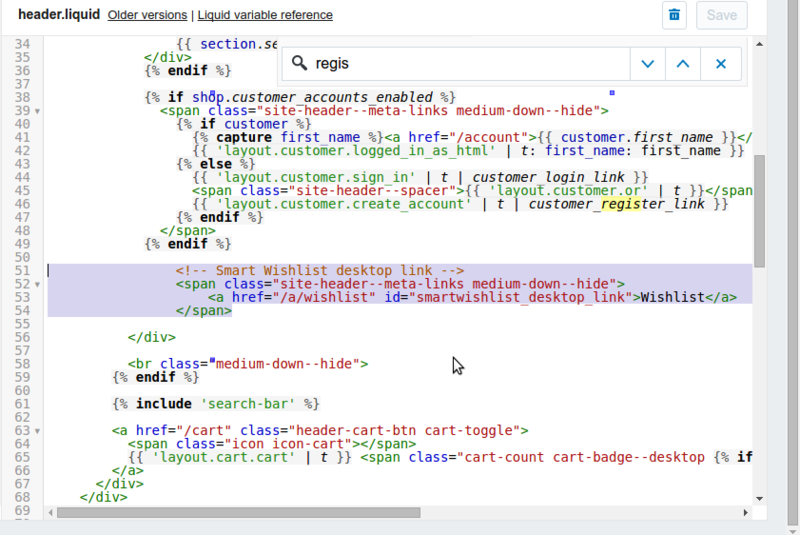 Open layout/theme.liquid and add the following code snippet after opening <body> tag or before closing </body> tag. Once done, go to Apps => Smart Wishlist => User Accounts and check the box titled “Enable User Account Integration” and click Save.